Zionist Union MK Broshi calls on Education Minister Bennett to focus this year's Holocaust Remembrance Day studies on Holocaust denial. 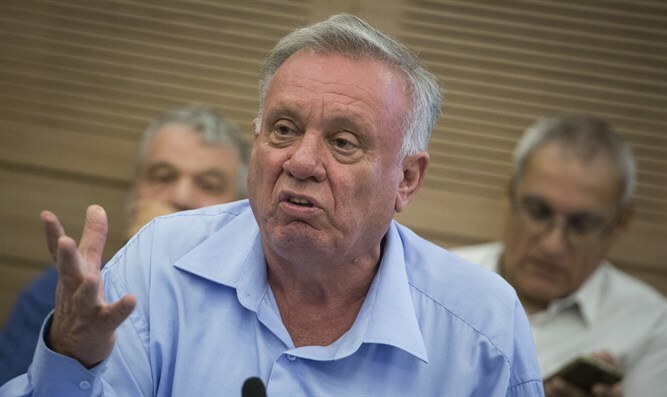 MK Eytan Broshi (Zionist Union) on Monday sent a letter to Education Minister Naftali Bennett (Jewish Home), asking that this year's Holocaust Remembrance Day studies focus on the issue of Holocaust denial and how to deal with it. In his letter, Broshi noted Polish Prime Minister Mateusz Morawiecki's statement that "Jewish perpetrators" were involved in the Holocaust, as well as his participation in an event commemorating the Polish underground, which collaborated with the Nazis. "Recent events centered in Poland are a dangerous expression of Holocaust denial and attempts to remove responsibility from those who committed crimes against Jews during the Holocaust and the Second World War," Broshi said. "In light of these increasing trends, I have turned to the Education Minister with a request that schools during the upcoming Holocaust day studies will focus mostly on Holocaust denial and the ways to deal with it. Certainly, during the year we celebrate 70 years since Israel's independence, it is extremely important to discuss this topic with all of our students." Earlier this month, Poland's senate passed a law mandating fines or up to three years in jail for anyone ascribing "responsibility or co-responsibility to the Polish nation or state for crimes committed by the German Third Reich."